Metal poppers are great for making electrical connections. 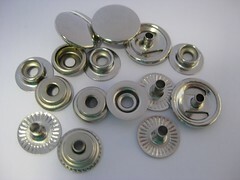 They are traditionally a wearable fastener. They are a washable and reliable connection method. 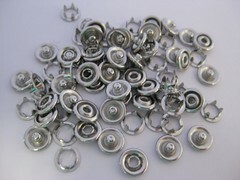 Poppers intended for hand sewing are great because they require no tools and the sewing itself can be done with conductive thread to make the conductive connection. On the other hand, if you have a lot of snaps to sew, it becomes tedious. 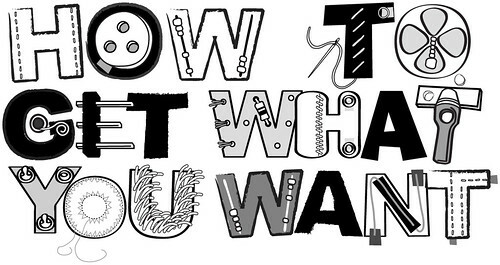 Although a well sewn connection is sturdy, if it is under a lot of train and often open and closed, the threads tend to become loose. Snaps can be attached to fabric by hammering, plying. 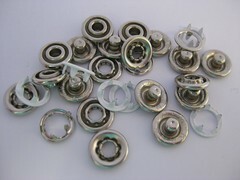 Both methods require For plying snap fasteners, there are special snap pliers. 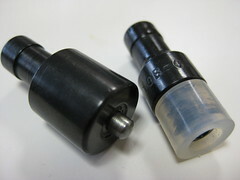 There are different kinds of machine poppers for stretch and non-stretch materials. 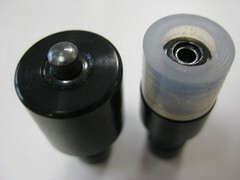 Poppers are measured in Ligne and cm. 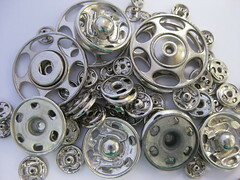 Ligne comes from the French word meaning line and is used to measure the diameter of buttons and poppers. It is abbreviated with the letter L or represented by the triple prime ‴. Basically you want to watch out that the size poppers you order will work with the size of the dice of your popper tool. Needs 1 Lac YKK popper sets (16 L) for stretch fabric. Pls let me know ur best quote. I would like to purchase a set of about 500/1000 poppers (Post, stud, pocket) for non-stretch fabbrics including the tool to fix them. I think I’ll need the 7mm ones. Can you please direct me in the right direction? How do I know which brand and size I need? From where to where do I measure diameter- is it the entire popper or the active central piece?